Whether you are looking for a left handed gaming mouse or a right handed one, there’s a wide variety available to choose from. However, not every gaming mouse out there has the smoothest transition. If you are a left handed gamer, you should check out these top 10 best left handed gaming mice for 2017 that we have found. [Score: 10/10] As far as cheap optical mice go, the premium material is not exactly a priority. At this price point, we’re often left with flimsy devices that start wearing as soon it leaves the shelves. I’ve spent a good two weeks with the Zowie ZA13 and it seems really durable to me, so finger crossed there. I’m not a fan of its small size, and if I had the option I’d have gone for the ZA11 or 12 instead, for its larger exterior. [Score: 9.7/10] If you are looking for a left handed gaming mouse that looks amazing and feels very smooth at a price that’s very easy on your pocket, CM storm reckon is your best bet. Its LED multicolor customization makes it very appealing to the eye. With a superb sensor and 2 thumb buttons on each side, ambidextrous takes a little time to get used to. In terms of its shape and feel, we’d like to call it ‘sturdy’. If you get too emotionally involved in your game and strike your mouse against the table when the mood strikes, this one’s for you. Being ambidextrous, it is designed to be used by both left handed and right handed gamers with equal ease. Its rubberized body makes it really soft to the fingers, and really comfortable to grip. This cheap versatile gaming mouse can feel tetchy if you use it on highly smooth surfaces. Being ambidextrous, some gamers may find its two buttons almost redundant. Nonetheless, you can undoubtedly call it an all-purpose gaming mouse whether you are right handed or left handed, have a preferred gaming genre or grip style. All in all, it’s an inexpensive, functional, attractive and comfortable gaming mouse. Definitely, a strong contender when it comes to deciding among the best left handed gaming mouse of 2017. Review available soon..
[Score: 9.6/10] The Razer DeathAdder left handed edition mouse is winning rave reviews from many pro gamers. 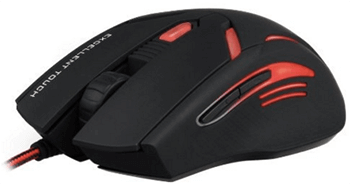 This gaming mouse has a 6400 DPI optical sensor, which enables accurate tracking with zero interpolation. 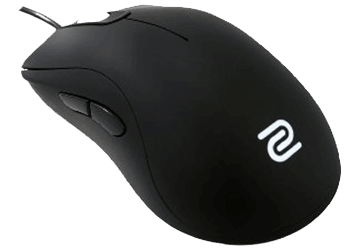 It is the highest native DPI optical sensor available on any gaming mouse today. This ensures mouse movements of up to 200 inches per second and 50g acceleration. This Razer DeathAdder scores well when it comes to its ergonomic design. You will fall in love with its contours and curves. Many users have praised its iconic right-handed intuitive ergonomic design. Its rubber side grips give you excellent control over the device; it sits snugly under your palm. Its matte black finish prevents sweat buildup, ensuring excellent grip. You can also control it with a claw grip. You feel very comfortable using this mouse. The mouse has bright green lighting on its scroll wheel and logo. The Razer DeathAdder is definitely among top class left handed gaming mice. Many right handed pro gamers use this mouse. You can call it a cheap gaming mouse for all the amazing features that it offers. Review available soon..
[Score: 9.4/10] The Logitech G300s gaming mouse is one of the lower end mice in Logitech’s ever expanding catalog of gaming peripherals. But still I think it’s one of the best gaming mice I’ve tested. It’s sleek and beautiful without being over the top. I don’t know if I’ll personally be using this as my daily driver has given how spoilt for choice we are these days, but if you’re someone looking for some affordable quality this should be on your shortlist. [Score: 9.4/10] Having a symmetrical sleek design, it’s a basic mouse at best. There are many gamers out there who find too many buttons on the various gaming mice redundant and cumbersome actually. If you get intimidated by too many buttons, too much customization or too much side mounted shapes, this tri-button gaming mouse is a suitable option for you. 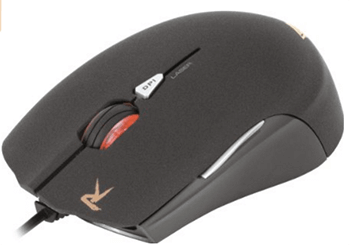 It has a compact ambidextrous form that can come under the category of left handed gaming mice as well as right handed. While it’s not as brightly lit or stylishly shaped, the build quality of Lua is commendable. Those gamers who are having small hands love this kind of compact design. 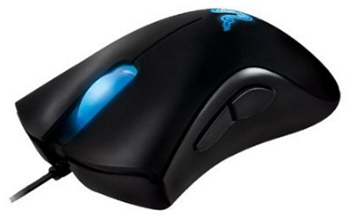 If you like your gaming experience simplified, the Roccat Lua is designed keeping you and your kind of gamers in mind. By limiting the functions to 3 buttons only, it actually simplifies the whole gaming experience with highly precise performance. It is modern and futuristic but still plays it cool just to the level of getting the job done and keeping the experience enjoyable. If you are a sober gamer who likes their mouse compact yet sleek, enjoyable yet not too much, go for this one. Review available soon..
[Score: 9.2/10] Are you a Transformers fan? Do you love to light up your gaming peripherals and make it look cool? If yes, then the aLLreLi SK-T2 is a top gaming mouse for left handed people like you. Its cool design makes it appear very futuristic. Coming towards its feel, it is super sensitive, super precise and super-fast. If you are looking for a combination of a cool looking, comfortable and high quality left handed gaming mouse, choose this one. It’s a worth buying wired mouse that can last solid use of 8 hours when stress tested at our gaming rig. One noticeable thing is its cord which is braided as opposed to conventional rubber or plastic cover. This and the gold plated USB port are meant to ensure its durability. If you want your mouse to tell everyone out loud that you are a gamer, this stylish mouse would do the job for you. The gameplay customization and setting your own sensitivity feature are awesome for avid gamers and tech geeks, but can intimidate the newbie gamers. It’s a highly comfortable left handed gaming mouse that we recommend for long hours of continued gaming. Review available soon..
[Score: 9.1/10] With 5 strategic programmable buttons, the Gamdias GMS5510 is definitely the left handed mouse, allowing the gamer to set media controls, profiles, macros, etc. according to their strategic preference. If you are a big fan of customization, this one allows you to modify total its weight by according to your mouse control preferences. And when it comes to the budget, this one is definitely an excellent choice. Moreover, you get to save 6 profiles on it. 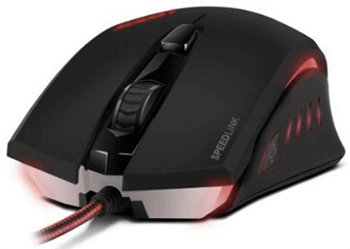 With a 10 million click lifecycle, this laser gaming mouse is built to perform a heavy duty. A good gaming mouse for its price, offering you the features of gaming mice priced 2-3 times higher than this. However, if you are transitioning from a Logitech left handed gaming mouse you may find it difficult to get accustomed to its button positioning. Being a left handed gamer, you may feel like a minority neglected by the manufacturers of gaming mice. But on the bright side, the best of gaming mice are ambidextrous, providing you the perfect shape to play without hurting your joints. Hopefully, this quick left handed mouse review has given you some of the best left handed gaming mouse of 2017 to choose the one perfect for you! [Score: 8.9/10] I’m not one for gimmicky marketing, so I was a little apprehensive when I first picked up the Gigabyte GM-Raptor gaming mouse that promised to be the best FPS mouse for left handed people on the market. In my experience, gaming peripherals that promise best-in-class features and performance for a particular genre end up making way too many compromises on conventional ergonomics or functionality, all for some minute advantages in-game. [Score: 8.7/10] With a symmetrical design, the Speedlink Ledos is comfortable for both left handed and right handed gamers. It allows you to set your sensitivity anywhere between 500 DPI to 3000 DPI. If you have broad hands, it would feel very nice and comfortable to you. 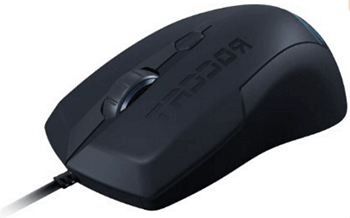 Easy on the pocket, this gaming mouse can be categorized as a left handed ergonomic mouse as well as right handed. It provides optimum precision to the enthusiastic gamers with a rapid-fire button and a sniper button. You can easily access all buttons on the Ledos. 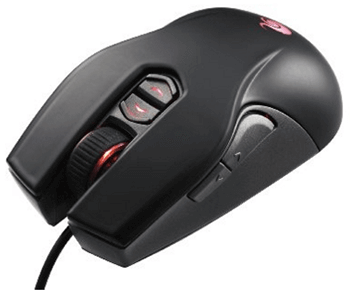 The well defined pressure points of the mouse provide you the ease of continued farming for long hours without getting your fingers contorted. With a braided cord and well defined Sniper and Rapid-Fire buttons, this flexible gaming mouse might take a little time getting used to. But after a 2 or 3 days of consistent gaming, it will definitely come handy to you. This is a top gaming mouse for left handed gamers. All of this comes at a very reasonable price that sometimes makes you question why would you ever want to spend twice or thrice this sum of money on any mouse? You can get all that you love at a price that’s very budget friendly. Review available soon..
[Score: 8.4/10] Last but not the least, another ambidextrous structure is here to conclude our list of the best left handed gaming mouse of 2017. 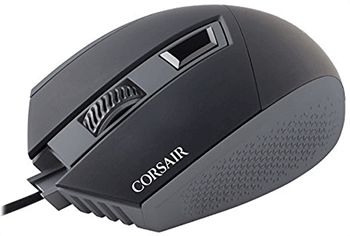 Corsair says that they have designed the Corsair Katar gaming mouse by taking the help of professional gaming teams, but that is the matter they only know about. On the end user side, this mouse has two faces per its weight and design. One is good and one is bad. It is good for those who love to use an ultra-light mouse that does not make them feel tired because of its weight. Second, it is good for those who want both a lightweight mouse without a thumb rest because for many gamers, thumb rest is a disturbance.